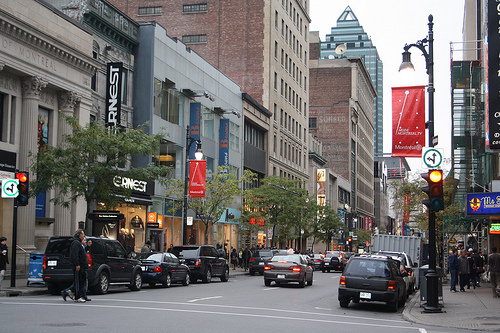 Montreal’s planned reconstruction of Ste-Catherine St. must be done swiftly and with minimal disruption or its future as a major commercial artery in the city will be at risk. That’s the warning from real estate executive Stephen Leopold from brokerage Immodev. The Montreal Gazette reports that Leopold addressed a luncheon at the Board of Trade on Tuesday and reminded them that the area is the “heart, soul and spine” of Montreal. He called for city planners to not only replace ageing infrastructure but to create a modern innovative space with heated walkways and charging points for electric cars. He called the street the “largest and most diverse shopping centre in North America” and said that there is no street in the world that’s more important to a city. Structural work on the street is due to begin next year with longer term plans being discussed. Read the full story.